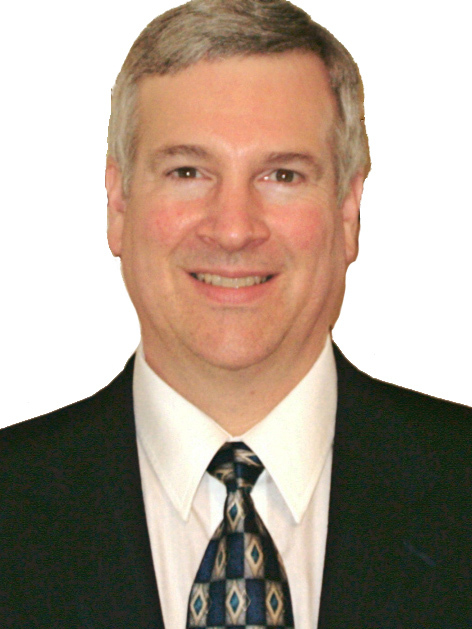 Kevin L. Glaser is president of RISC (Risk & Insurance Services Consulting, LLC), a fee-only property and casualty and risk management services consulting business located in Oconomowoc, Wisconsin. RISC serves business, government entities and affluent individuals by providing professional services such as: litigation support and expert witness testimony; complex insurance program design; negotiation of insurance coverages and pricing; development, implementation and monitoring of contractural risk transfer agreements; internal audits of existing insurance and risk management programs; agency and insurance company effectiveness reviews; development of unique bid templates to test the marketplace; analysis of workers'compensation programs, and the review of claims control practices - including evaluation of reserves and reserving practices. Mr. Glaser began his insurance career with American Family Mutual Insurance Group followed by Fireman's Fund. Following Fireman's Fund, he joined Tower Insurance Company, which eventually became part of the Fortune 100 Liberty Mutual Group. He has worked in a wide variety of positions, including: Property Adjuster; Field Underwriter; Personal Lines District Manager; Commercial Lines District Manager, Territory Manager and Territorial Business Manager. Glaser has first-hand experience in personal lines, commercial lines, farm lines, working with affluent family accounts and providing long-term risk management services to the State of Wisconsin. Mr. Glaser's responsibilities have included overall results for business insurance departments and personal insurance departments, as well as rate-making and management of underwriters and support staff. In addition, Mr. Glaser was a select member of an American Reinsurance driven, company-wide consulting project whose mission was to re-engineer an insurance carrier's existing internal company structure. Author of Inside the Insurance Industry and Personal Lines Challenges in the Affluent Marketplace, Mr. Glaser has a B.A. from Creighton University in Omaha, Nebraska, and has earned several distinguished professional insurance designations including: Chartered Property and Casualty Underwriter (CPCU); Certified Insurance Counselor (CIC); Associate in Risk Management (ARM); Accredited Advisor in Insurance (AAI); Associate in Insurance Services (AIS); Associate in Risk Management - Public Entities (ARM-P); Associate in Claims (AIC), and the Senior Claim Law Associate (SCLA), comprised of Legal Principles Claim Specialist (LPCS), Property Claim Law Associate (PCLA), Casualty Claim Law Associate (CCLA) and Automobile Claim Law Associate (ACLA) designations. Mr. Glaser has been quoted in national news publications such as The Wall Street Journal, The Hartford Courant (Hartford, CT), and The Journal Sentinel (Milwaukee, WI), relative to insurance issues. Mr. Glaser served as a Faculty Member of the nationally-recognized National Alliance For Insurance Education & Research (sponsors of Society of Certified Insurance Counselors programs) for 14 years, and was approved to teach a variety of courses throughout the United States. Additionally, Glaser has taught insurance-related courses for the business school of the University of Wisconsin-Whitewater, which is consistently ranked among the top 50 business schools in the USA. Community involvement has included: United Way in Waukesha County Public Policy Committee member, multiple terms as Board of Directors member and President of the Oconomowoc Area Chamber of Commerce, and leadership roles as President and Trustee of the local branch of a national non-profit organization. Mr. Glaser is former President of the Nebraska Underwriters Association and former Vice-President of the Business Advisors Network. He has been an officer of the Oconomowoc Toastmasters Club and has earned the Competent Toastmaster certification. Mr. Glaser is a national speaker in the areas of insurance and risk management, presenting to diverse groups such as Corporate Casual and The COSBE Group, the National Association of Personal Financial Advisors (NAPFA), the the Society For Human Resource Management (SHRM), and The Executive Committee (TEC), an international group of CEOs. He has been continuously approved as a Recommended Insurance Expert Service Provider by A.M. Best & Company since 2006, and is a member of various expert services provider organizations, providing litigation support and expert witness testimony in cases related to insurance and risk management. Copyright (c) 2000-2019. All right reserved. No portion of this website may be reproduced in any form without the express written consent of Kevin L. Glaser, CPCU, CIC, SCLA, ARM, AAI, AIC, ARM-P, AIS.